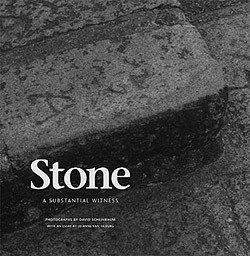 Stone—iconic, mutable, durable, sensual—is the chosen medium for mankind’s expression of eternal truths and a worthy subject of the photographer’s art. In the words of Chile’s Nobel Laureate, Pablo Neruda, stone is “a substantial witness” to the “trembling world,” a solid reflection of mutable things. The photographic images presented in this volume intimately capture the enduring quality and varied uses of stone across time, geography, and diverse human cultures. The worked stone structures and natural formations presented here profoundly capture the unique ideas, shared social and aesthetic values, and religious beliefs of which they are a reflection. In stone we see both the continuum of time, place, nature, and culture and their transience. Photographer David Scheinbaum’s exploration of stone spans the period 1994 to the present and circumnavigates the globe. Not a compendium of famous sites, this is an evocation of the inherent power of stone in its metaphorical, symbolic meanings, its aesthetic expressiveness, its embrace of geological time and reflection of fleeting impermanence. Mystical Stonehenge and Scotland’s gentle Kilmartin; the Forbidden City and China’s Great Wall; Mont St. Michel, Assisi, and Pompeii; the raked-sand meditation gardens at Ginkaku-ji Temple, Kyoto; the incomparable toppled statues of Easter Island; India’s Palani Temple and Brooklyn’s bridge. Archaeologist Jo Anne Van Tilburg, a leading expert on Easter Island, contributes a farreaching essay on stone’s power to shape culture and to embody the ideas, values, and beliefs of those who work its surfaces. Please visit the publication website for more information.